The vehicle is set to bypass American sanctions and tariffs, as well as normalize trade between the EU, Eurasia and China by abandoning trade in US dollars, potentially resetting the global economic order. Sputnik spoke to Pye Ian, Los Angeles-based senior economics analyst, private equity executive and commentator at Newsbud.com. Ian possesses a background in precious metals commodity trading and strategic planning. Sputnik: Is the European Union's Blocking Statue an effective mechanism for averting financial sanctions? Pye Ian: On the surface, the EU's "blocking statute" acts as a counter-measure to reimposed US sanctions on Iran. American sanctions threaten European businesses with legal actions based on noncompliance and appear to pose grave risks to EU firms seeking access to US markets and financial systems. The EU blocking statute has drawn the ire of Washington, who sees European allies as ‘disloyal' on its foreign policy diktat and has provoked US officials to force European firms to choose between working in Iran or the US. Yet the deeper issue is less between betting on Iran vs. the US, but on a rising Eurasia bloc, including China, Russia, Turkey and an increasing number of their allies and partners, all whom stand with Iran and wish to preserve the three-year-old Joint Comprehensive Plan of Action (JCPoA), or Iran Nuclear Agreement. Iran has yet to violate the agreement and wishes to move away from Washington's unilateral policies while embracing global multipolar priorities in trade, diplomacy and security independence. Sputnik: What does the Special Purpose Vehicle (SPV) entail? How can European businesses circumvent US-imposed sanctions? Pye Ian: The EU's three most important members-Germany, the United Kingdom, and France-set up the Special Purpose Vehicle (SPV) as a "clearing house" that will allow continued business and trade with Iran. It is one of several options that European countries are discussing with the European Commission to create independent payment channels for conducting business and trade with Iran. 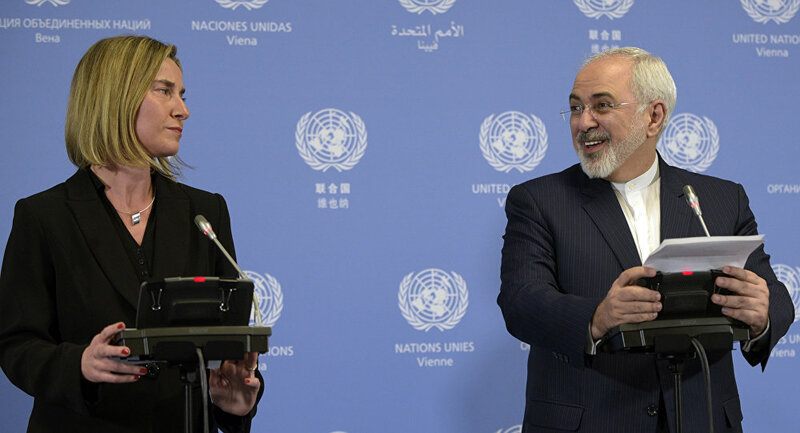 The SPV ultimately represents an act of defiance by EU states against Washington's unilateral decisions on Iran, and the EU is holding fastidiously to the JCPoA despite Washington pulling out of the deal in May this year. While Berlin, London, and Paris are driving the SPV, other EU member-states such as Italy, which is keen on participating, could join if the SPV is implemented. The SPV represents a collaborative effort of Iran's EU business partners to circumvent US dollar dependency, where Iran could export oil to Spanish, Greek or other EU firms to accumulate Euros which Tehran could use to pay for goods and services exported from the EU. This would not require US dollars and would meet US sanctions requirements for not doing business with Iran currency-wise while promoting crucial Iranian exports to the EU such as oil, for which there are few replacements available. This is evident in the joint statement between China, France, Russia, Germany, France, and Britain, which "welcomed practical proposals to maintain and develop payment channels […] to facilitate payments related to Iran's exports, including oil." The members intend to "protect the freedom of their operators to pursue business with Iran," which asserts Europe's collective sovereignty and independence from Washington. Conversely, Tehran sought the SPV to counter reimposed sanctions triggered by US president Donald Trump's withdrawal from the Iran Deal and sees the SPV as a means to pull its EU and Eurasian partners closer in a unique ‘blowback' move against US economic warfare. Sputnik: Just how difficult was it for the EU to develop the Special Purpose Vehicle? What does the SPV signal for international markets? Pye Ian: The EU previously struggled to devise a workable legal framework to shield its companies from US sanctions, which are set to come into effect in November, and has tried to prevent firms from pulling out of Iran. As a result, the Iranian Rial lost about two-thirds of its value this year, hitting a record low against the USD this month. EU High Representative for Foreign Affairs and Security Policy Frederica Mogherini stated that the SPV "could be open to other partners of the world", which almost certainly includes China, Russia, Turkey, and India, whom Iran enjoys close relations and also are circumventing US sanctions in other ways. JCPoA signatures Russia and China also ultimately seek protection via the SPV. Sputnik: What are some of the ‘unintended consequences' of US foreign policy regarding sanctions and tariffs? How could both Washington and global powers respond? Pye Ian: The US nonetheless has the power to expand anti-Iranian sanctions via secondary sanctions against firms participating in the SPV scheme, but doing so could backfire as these would further alienate an already globally unpopular Trump administration, who chooses to throw trade tariffs and sanctions against multiple nations around the world, be they friend or foe. Doing so would beg the question over viable stakes for the US and its Atlanticist partners, who price oil and currency benchmarks in US dollars to maintain dollar hegemony in order to dominate others, and conversely, for US debts and deficits to continue growing without any fiduciary checks and balances. A key consideration on how the SPV will function and evolve involves oil and natural gas pricing and trading. Iran, Russia, China and their Eurasian and southern hemispheric partners were already reducing dollar dependence for energy benchmarks and trading. One could argue that America's haste to use trade tariffs and sanctions against China, Russia, Iran, Venezuela and others was due to Eurasian and Latin American momentum away from the 45-year-old petrodollar mechanism for oil pricing, trading, and rent recycling. Yet, in a rushed effort to stop this momentum, Washington could be expediting it. For example, the SPV could dovetail into supporting the petro-yuan, petro-ruble, or a gold-backed currency offerings at global prices for trading oil and gas, among others. Such development could potentially harm the seemingly perennial confidence in the already over-indebted fiat dollar. Opposite this, the SPV's rushed development also evidences the increasingly Eurasia-leaning priorities of an exasperated EU, which has an economy under dire strain due to systematic deflation and its ‘Club Med' southern nations with economic difficulties due to incurable debt burdens, austerity measures, and political instabilities. If Washington cuts off an already fairly isolated emerging economy like Iran—the world’s 6th largest oil exporter and retains the second largest reserves of natural gas—using opaque political reasoning, it doesn't bode well for garnering cooperation with the EU while also trying to prevent a second global economic crisis due to debt levels many times that in 2006-2008. In fact, Washington's planned reduction of Iranian oil exports to "zero" by November 4 could veritably ‘tip things over' for the petrodollar. Iranian oil exports cannot be extinguished with any other crude supplies, considering that the Saudis have never proven their emergency output capacity to meet over 2 million barrels per day. The Americans also cannot make up supplies themselves, and any political ‘operation' Atlanticists may have planned to take effect in Iran after November 4 had better happen fast and go ‘without a hitch' in order to prevent WTI and Brent from surpassing $150 per barrel, thereby triggering aggressive recessions, popping debt bubbles, and ushering in a formal dollar crisis.